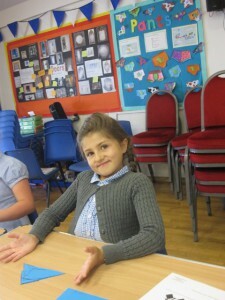 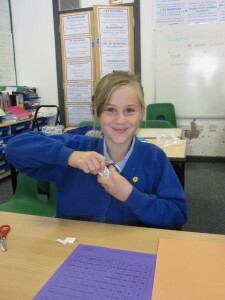 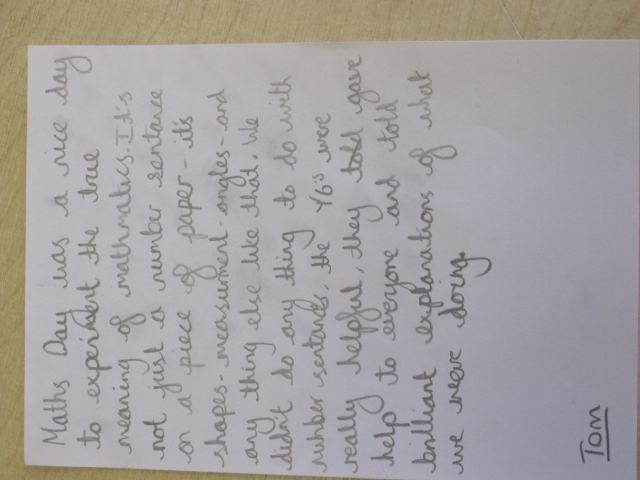 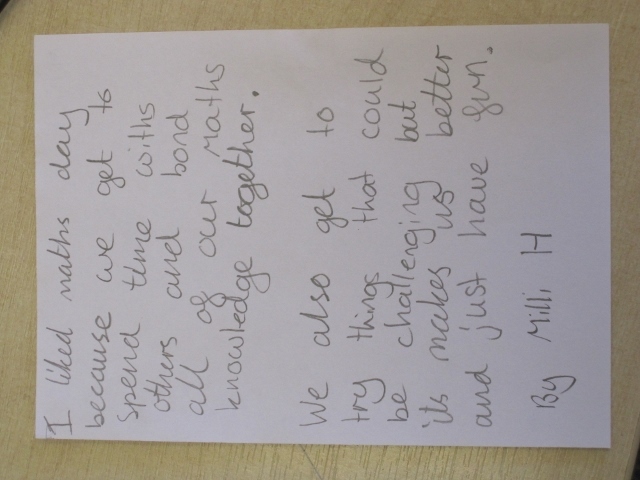 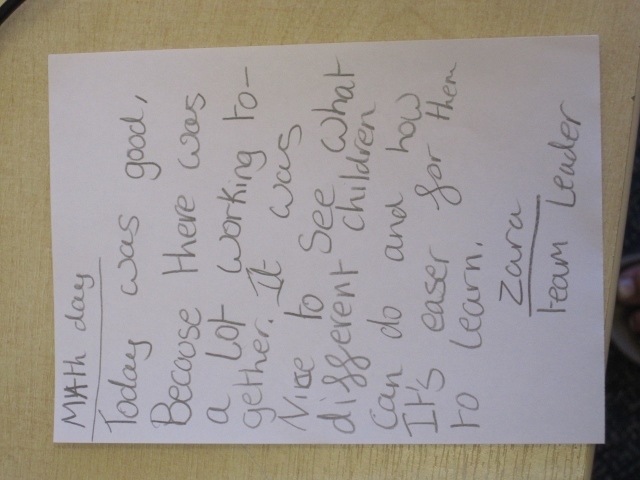 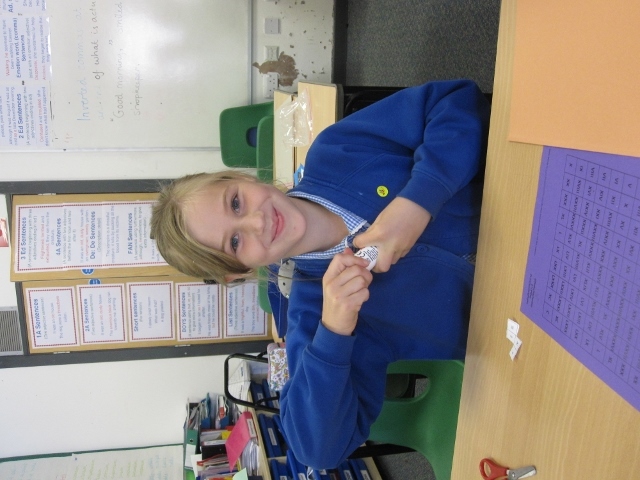 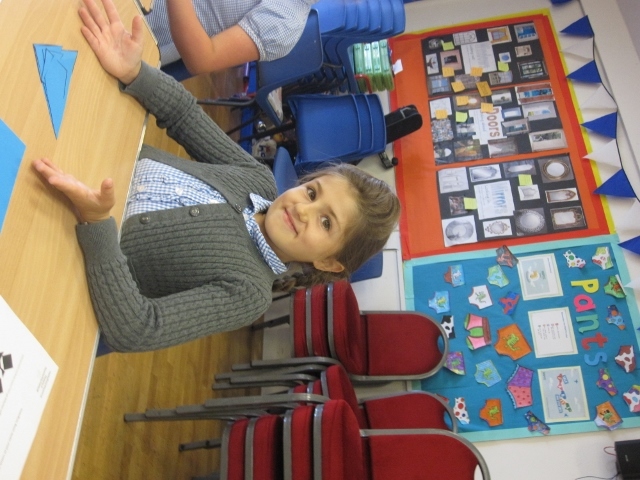 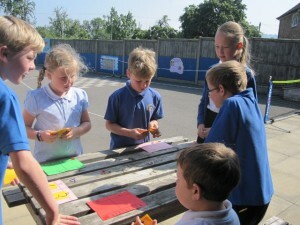 As an enrichment day school council suggested that Year 6 became teachers for the day. 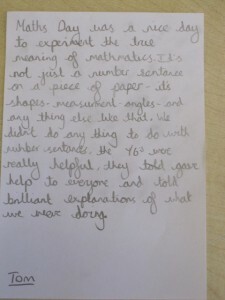 This is what happened! 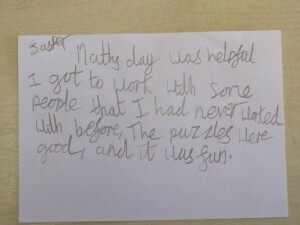 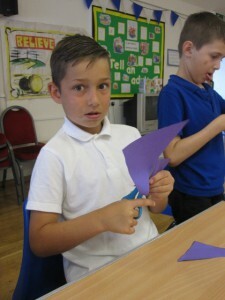 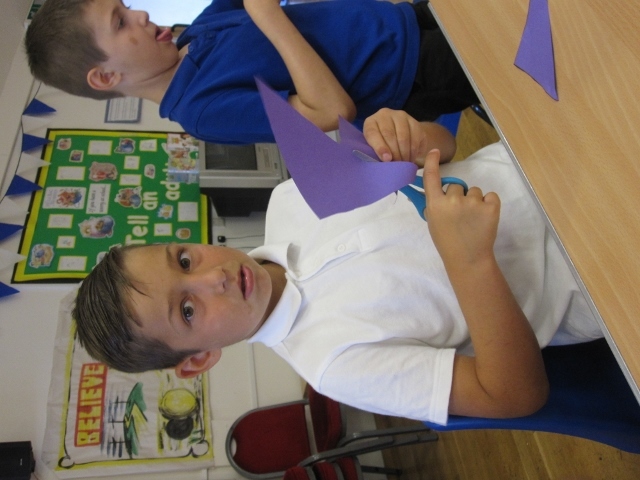 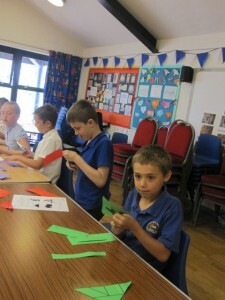 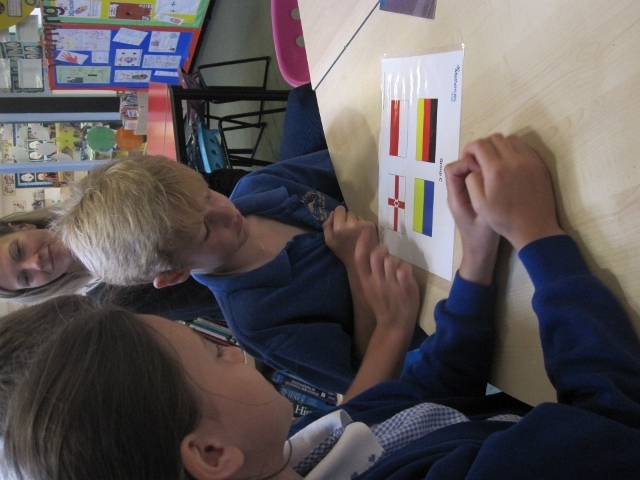 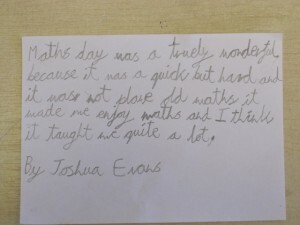 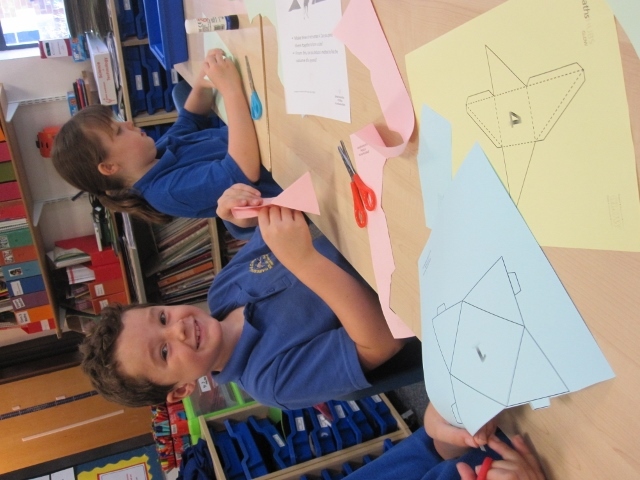 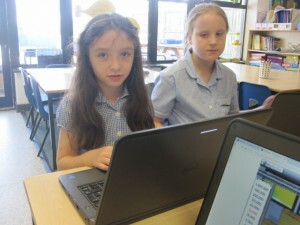 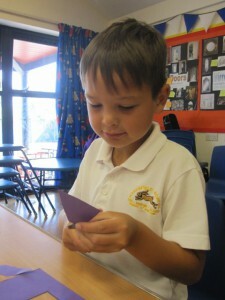 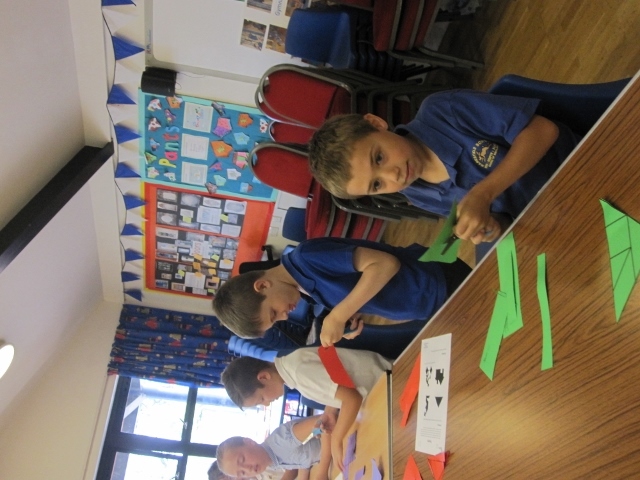 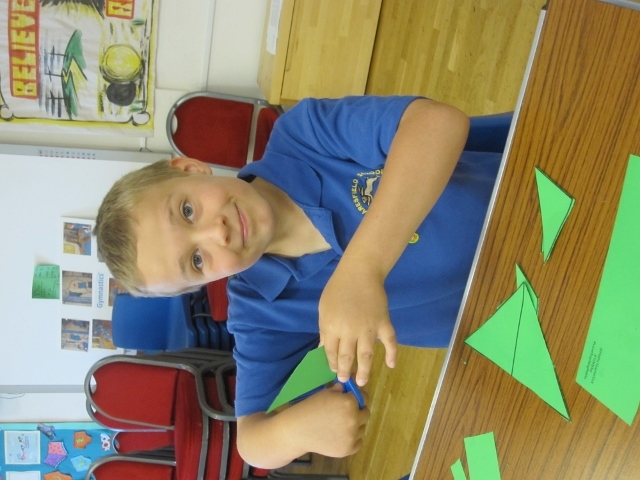 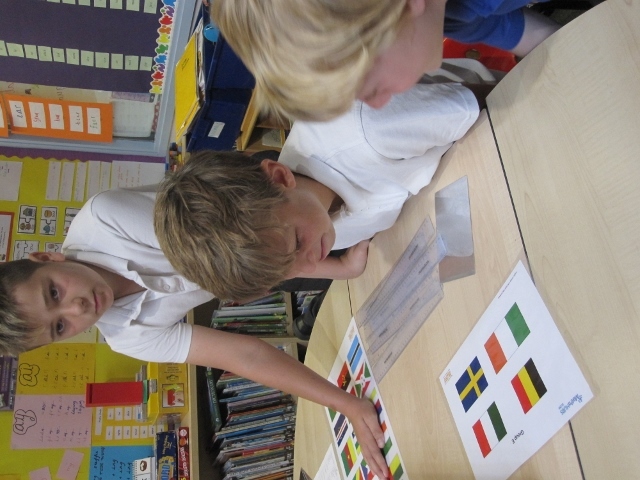 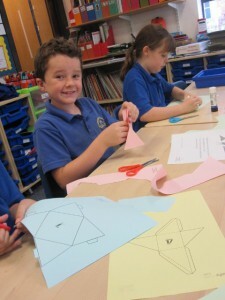 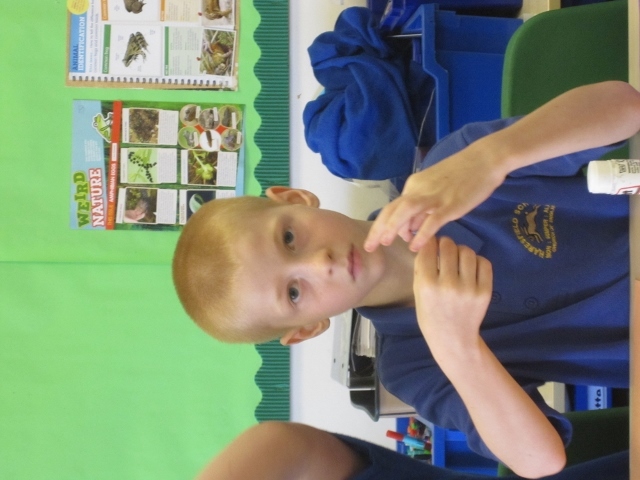 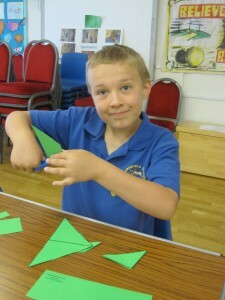 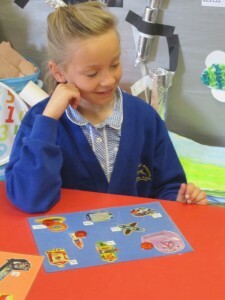 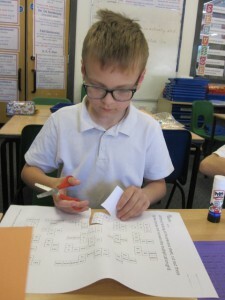 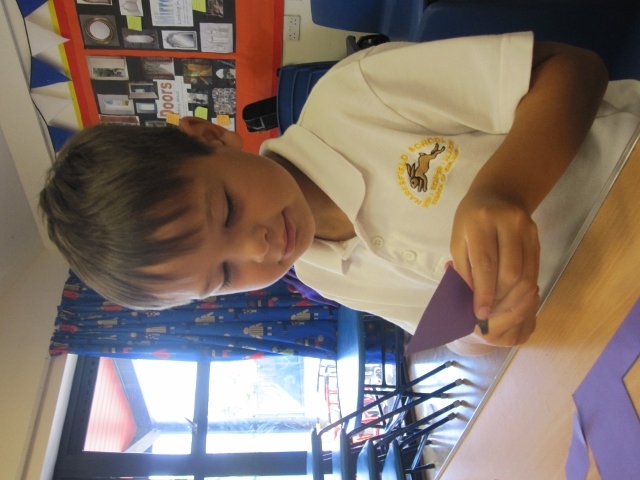 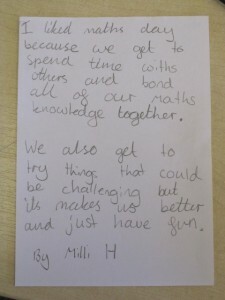 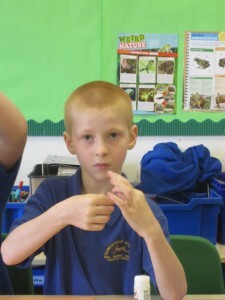 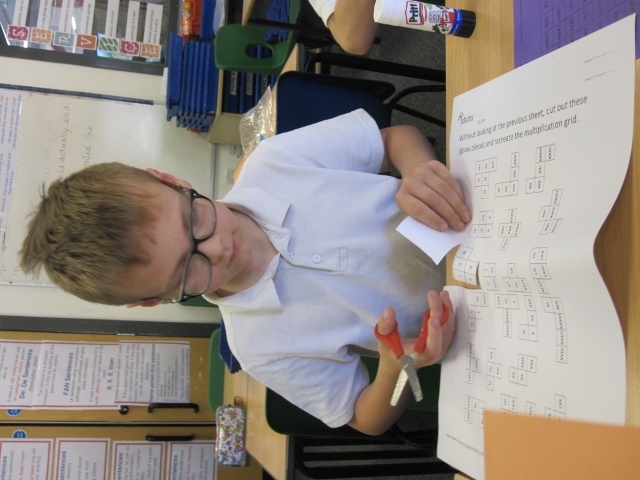 In the morning they ran 8 Maths activities for Year 3, 4 and 5 – There was a roman numerals jigsaw, some tangrams, some money problems, a shape challenge with flags, some pyramids, doubling, maths games on the computer and a place value game. 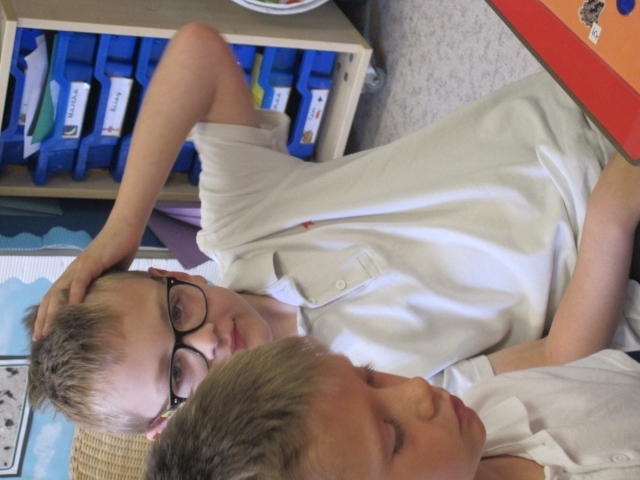 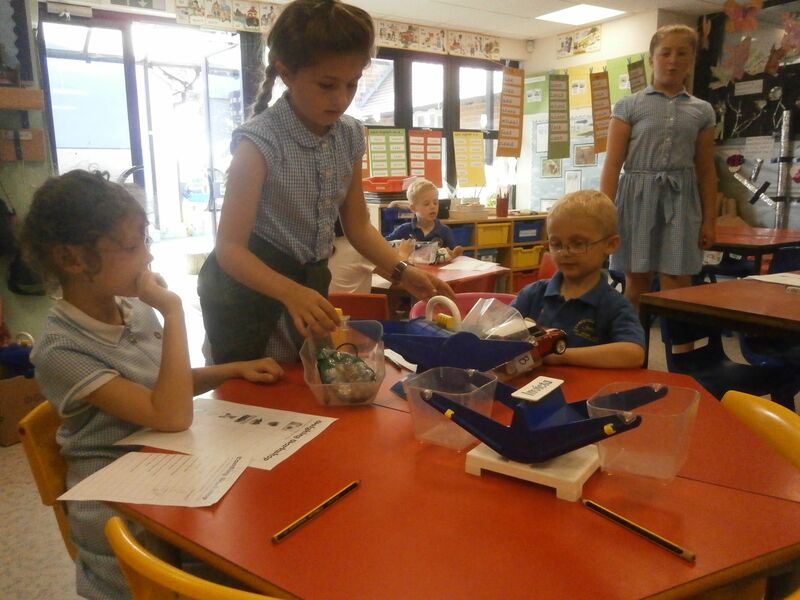 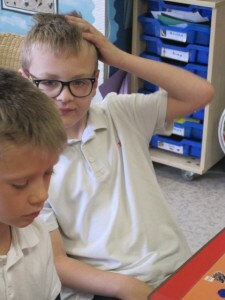 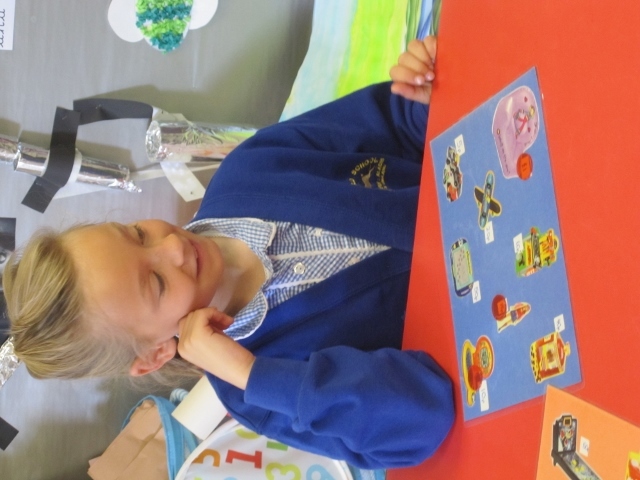 In the afternoon the Year 6 children ran different activities for Reception, Year 1 and Year 2 and Year 5 children were teaching assistants making sure everyone was able to have a go.